Are you planning for a premium smartphone lately but confused on an ideal pick? Well, the post below presents a brief highlighting on the top features of some of the latest smartphones today. Take a brief look at the smartphone details below and then let us know what one you would love to own. It runs on Android Jelly Bean OS v4.1.2 and is powered by a 1.5 GHz Quad Core processor. The phone is backed by 13.1 MP camera with 4128 by 3096 pixel resolution, LED flash and autofocus. Video facilities are available with 1080p at the rate of 30fps. The water and dust resistant phone runs on 2G, 3G and 4G networks. You will get a 5” multitouch TFT touchscreen. The internal memory capacity is 16 GB, two GB RAM. The data facilities available here include GPRS, EDGE, Bluetooth, WLAN, USB and NFC. It is a very good choice to buy the Sony Xperia Z compared to others. 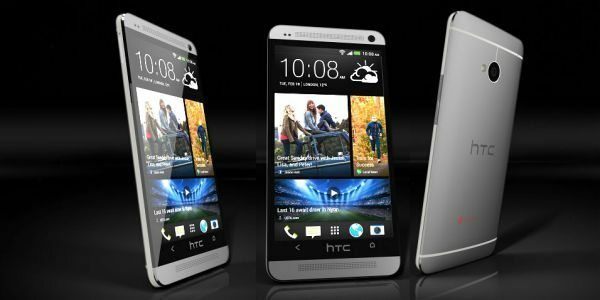 HTC One is powered by Android 4.1 Jelly Bean OS with latest Sense 5 User Interface. The most highlighted part of the phone is its 4 MP Ultrapixel camera where the size of the pixel is much larger in comparison to other smartphones in the market leading to images with better light capture. The OIS feature of the phone reduces risks of the blurry images. The storage capacity here is 32 GB or 64 GB. The phone supports complete WiFi facilities and features a superLCD3 full HD 4.7” screen. The Nokia 920 is run by Microsoft Windows Phone 8 OS and is powered by a 1.5 GHz dual-core processor. It’s equipped with 8 MP camera with 3264 by 2448 pixels, double LED flash, OIS facilities and autofocus features. The internal storage capacity is 32 GB, one GB RAM. You will get a 4.5” of LCD IPS capacitive touchscreen. The data features include GPRS, EDGE, WLAN, USB, NFC and Bluetooth. The phone works on BlackBerry 10 and is powered by 1.5 GHz dual-core CPU. You will get a 8MP camera with 3264 by 2448 resolution, LED flash and autofocus capacity. The phone features a 4.2” of capacitive touchscreen with 768 by 1280p. The memory capacity is up till 64 GB. The phone supports Bluetooth, WLAN, EDGE, GPRS, USB and NFC. And not to forget out beloved Samsung Galaxy series, they are coming up with their flagship phone of the year Samsung Galaxy S4 launching on March 14th with some leaked specs like super AMOLED+ display, Octa Core processor, wireless charging, 440 PPI resolution and eye scrolling. So out of these 5 phones (3 Android, 1 BlackBerry and 1 Windows 8 OS), which phone will you be choosing in 2013? I will wait for Galaxy s4 … Xperia Z looks impressive for now. I LOVE my Nokia 920 and WP8!!! I wish my Android Samsung Galaxy 7 was simply also running WP8! !